Our Travel Editor takes to an aluminium boat and canoe to experience one of the fiercest rivers in the world. I’ll let Elijah get away with it. 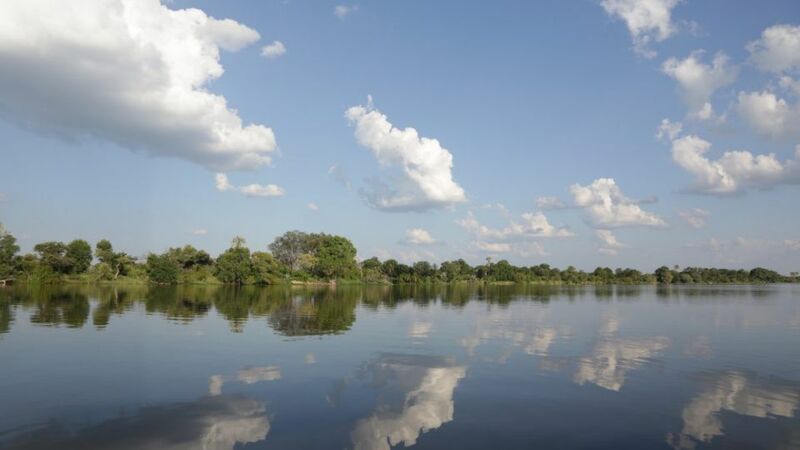 Couplets such as “mighty” and “Zambezi” too easily fit together to make a cliche but as Elijah Yevuka scans the smooth then whitewater surface of this African river, he utters the phrase. When I repeat it (just trying it out), he flashes me a white-teeth smile. It’s his river, so “mighty Zambezi” it is. I’m in Zambia, near the town of Livingstone, and its Victoria Falls, and today Elijah and I are in an aluminium boat with a big outboard running the rapids and stopping on smooth sections to see a couple of young male elephants trunk-wrestling while a bigger one looks on, a crocodile fast asleep under a tree, and hippos. Hippos everywhere; eyes, nostrils, flickering ears and “smiling” mouth sticking above the surface, belying the fact that many Africans regard hippos as the continent’s most dangerous animal. They are said to kill more than 2500 people a year (considerably more than lions; considerably less than mosquitoes). Tomorrow we will be in a canoe, running the rapids again. We navigate past one big, brown hazard, so solid that a water cushion forms upstream, wavelets stream off either side and an eddy turns in behind, and then I see ears flicker. Rocks and hippo heads fleetingly look much the same. It’s not often that hitting a rock in a canoe looks like the best option. There are, of course, tiger fish with razor-sharp teeth and a penchant for flesh, in the river — “we caught one that was 11kg, ” Elijah says. Elijah is chief guide at Sanctuary Sussi and Chuma lodge, which is right on the Zambezi river bank. It has 12 tree houses and two family rooms perched on stilts. Both of my river excursions start from its jetty, just past the restaurant, with its outside area, sunset drinks deck and infinity pool. What would David Livingstone make of all that? The lodge is named for local men Sussi and Chuma, companions on some of his explorations. The Scottish explorer and missionary, who is credited with being largely responsible for the abolition of British slavery in this part of Africa, led the Zambezi expedition from March 1858 to mid 1864. The Zambezi is just over 2570km long, rising in a marsh in Zambia and flowing into the Indian Ocean in Mozambique. It spends 240km of its length in Angola, and, at various points, forms the border with Namibia, Botswana and Zimbabwe. It is the fourth longest river in Africa, behind the Nile, Congo and Niger, and the biggest African river to flow into the Indian Ocean. Funded by the British government interested in natural resources and opening up the river, Livingstone found the Cahora Bassa rapids impassable. I’m nowhere near them — just bouncing around on nice whitewater with Elijah. But I’m aware that the 1700m wide Victoria Falls are not so many kilometres downstream from where we are. It gives rise to the local name, Mosi-oa-Tunya — “smoke that thunders”. I can already see the plume of spray from its 100m cascade rising in the air. Impassable, indeed. Mighty Zambezi, indeed. Stephen Scourfileld was a guest of Abercrombie and Kent, which uses Sanctuary Sussi and Chuma lodge.